The servo assembly allows you to control GPIO pins, analogue pins, and servos. It’s comprised of an Arduino Uno, and a servo shield. The servo shield enables you to control up to sixteen servos. It’s attached to the top of the Arduino, passing its pins through. The reset button allows you to instantly reboot the Arduino in case it isn’t working. This is not a guaranteed fix, but may solve some problems. 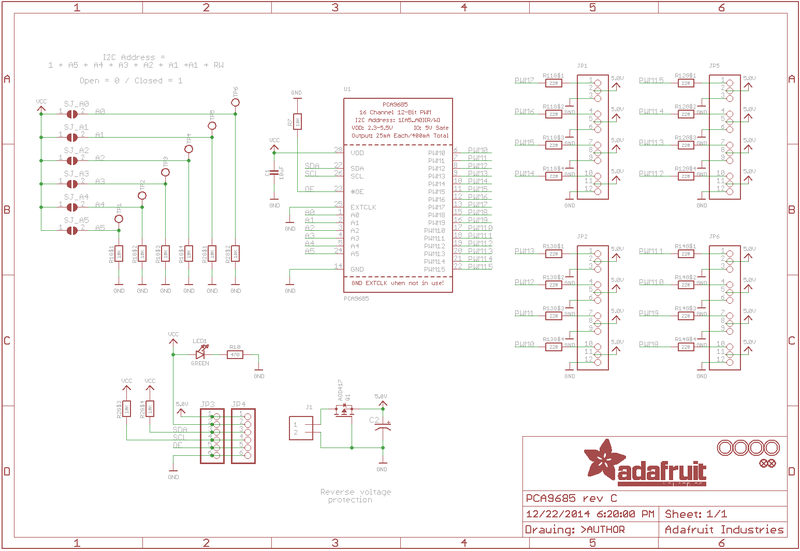 The schematic diagrams for both the Arduino and shield are below, as well as the source code of the firmware on the Arduino. You do not need this information to use the board but it may be of interest to some people.